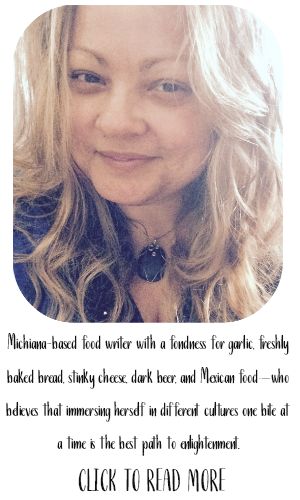 Welcome to my very first #EatingIndiana feature. 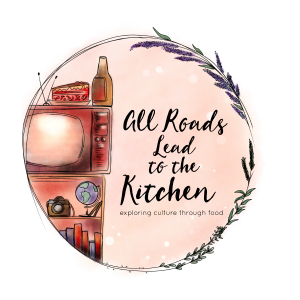 You can click here too learn more about why I started #EatingIndiana, but at the core of it all, I will be featuring Indiana grown/based/established food. 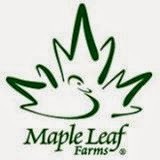 Maple Leaf Farms was established in 1958 by Donald Wentzel near Milford, Indiana. They began small with 280,000 ducks their first year (seems like a lot to me), but continued growing, and had 1 million ducks by 1964. Mr. Wentzel passed in 1968, but the business is carried on by his son-in-law, Terry Tucker. This family-owned company has a commitment to not only family, but also friends, personal fulfillment, community involvement, and high-quality products. Maple Leaf farms now employs 750 people at operations in not only Indiana, but also Wisconsin, California, and Michigan. 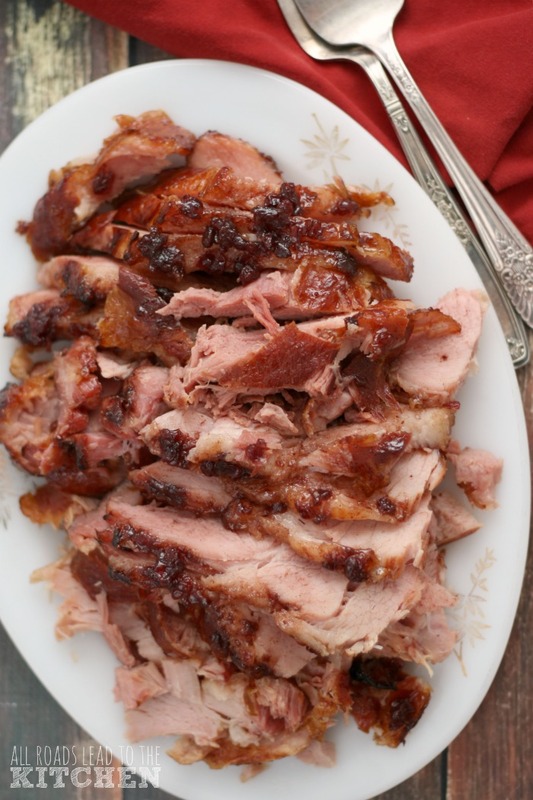 They are at the top of the North American duck market with their White Pekin Duck products, from raw to fully-cooked. My first experience with Maple Leaf Farms was when I was in culinary school; I believe it was meat cutting class. We took a little "field trip" to Maple Leaf Farms to experience what they do first-hand. We saw the process from hatchling to processing, plus we served a delicious meal featuring the mild, tender meat of ducks raised right on site. I can safely pinpoint this moment as "the" moment that I fell in love with glorious, golden duck fat. If you haven't tried potatoes roasted in duck fat, you haven't lived. I am able to find a few of their products in my local markets, such as whole duck and duck breast. Oddly enough, that's about it. It must be local demand (or lack of). I know I've requested more from my local market, unfortunately I'm not their only customer. 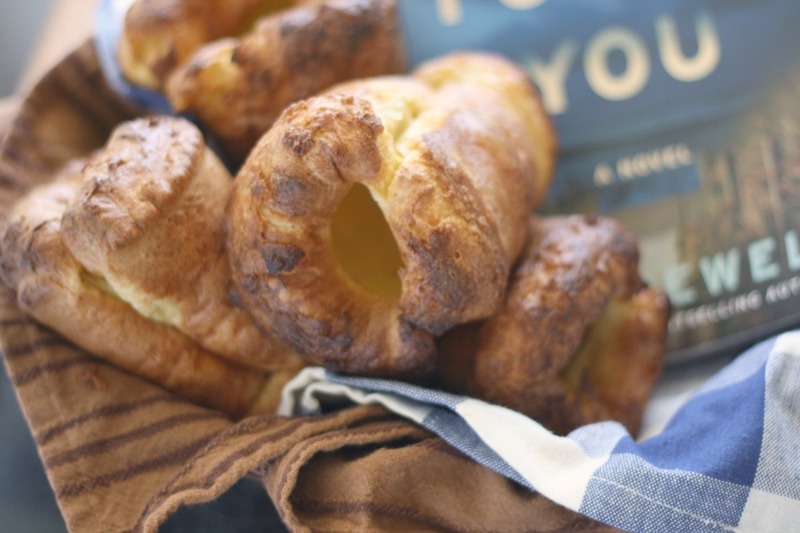 But fortunately, Maple Leaf Farm products are available for order online. I highly recommend you try their Duck Legs Confit, Rendered Duck Fat, and Duck Bacon. These are hands-down my three favorite Maple Leaf Farms products. Don't get me wrong, their duck and duck breast are delicious. I've also tried and enjoyed their fully-cooked half duck in Orange Sauce and Rotisserie Style. Both were top notch products. But a girl's gotta have her favorites. 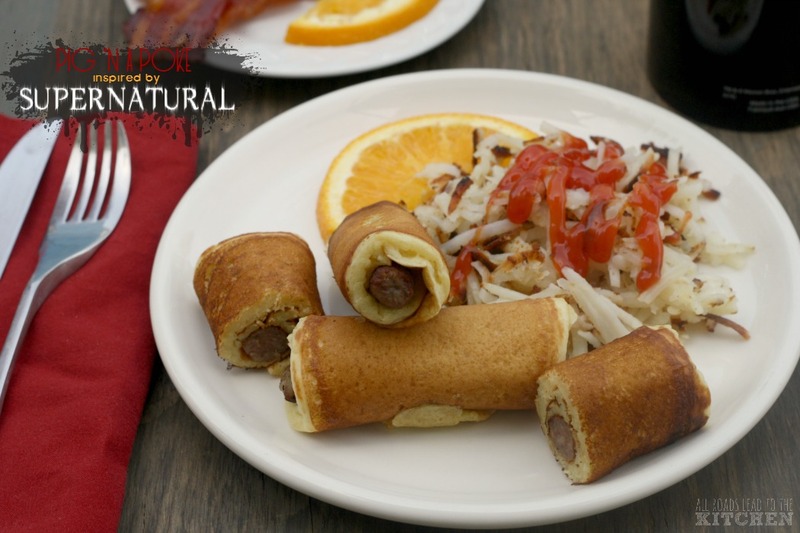 I have not tried their Duck Sausage yet, but it's on my list - as is the Ground Duck Meat, which is in my freezer right now. I have big plans for it. Let's just say it involves a certain "Strut Your Duck" recipe contest (check it out - you can enter, too...top prize is $4000!). 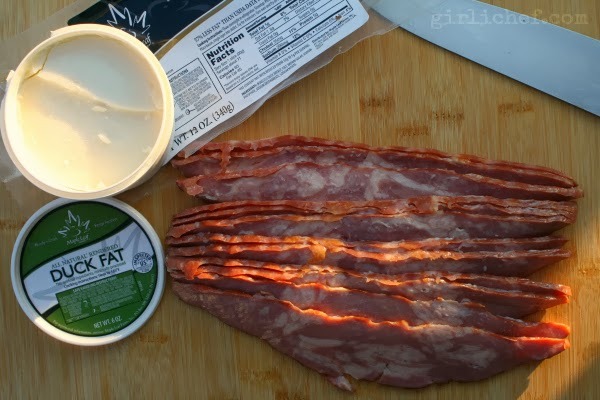 Today I am featuring two of my top three favorites - a little bit of duck fat...and a LOT of duck bacon! DUCK. BACON. DUCK BACON! Tell me that you're not as excited about those two words as I was the first time I heard them together. I could not wait to get my hands on some. I wasn't sure what to expect, but what I experienced with my first bite was no less than meaty, salty, bacony bliss. And as much as my oldest (pork)bacon-revering child refused to believe me, he gave in to the delicious truth after much assurance and coaxing (from me) that bacon made from duck was not an abomination. 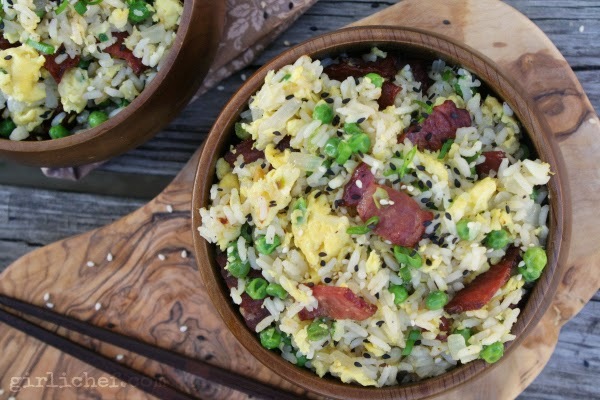 I've mentioned before that I love any sort of fried rice for breakfast, so it shouldn't come as a shock that this dish is going to making a special appearance in the mornings around here from time to time. And if my local market starts carrying the Maple Leaf Farms Duck Bacon, it'll be even more often. In a wok or large, deep-sided nonstick skillet set over medium-high heat, cook the duck bacon until it starts to get golden and crisp up in spots, 10-12 minutes. 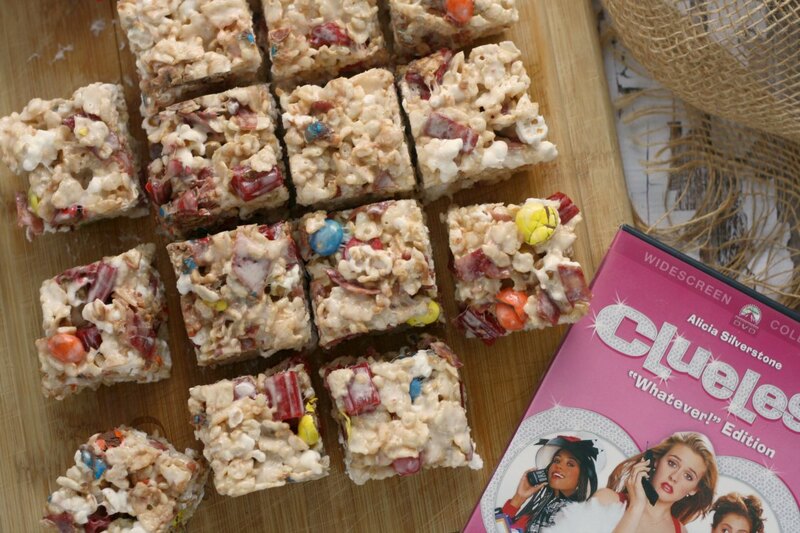 Lift out onto a paper towel-lined plate and set aside. There should be about 1 tablespoon of fat rendered from the bacon left in the pan, if there is less, add enough duck fat to the grease in the pan to make about 1 tablespoon total (or remove some if there is more). Still over medium-high, and stir-fry the onions and most of the scallions (leaving some scallions aside for garnish) until they just start to turn tender, 2 minutes. Add garlic and rice, and stir-fry for another minute. Add the peas and continue to cook until heated through, about 30 seconds longer. 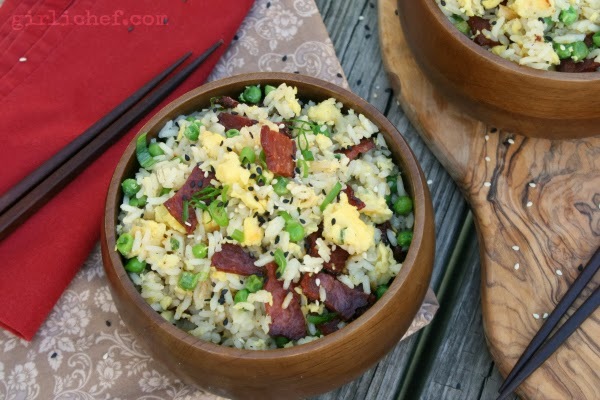 Move the rice to the sides of the pan, making well in the center. Add another tablespoon of fat, and pour in the lightly beaten eggs. 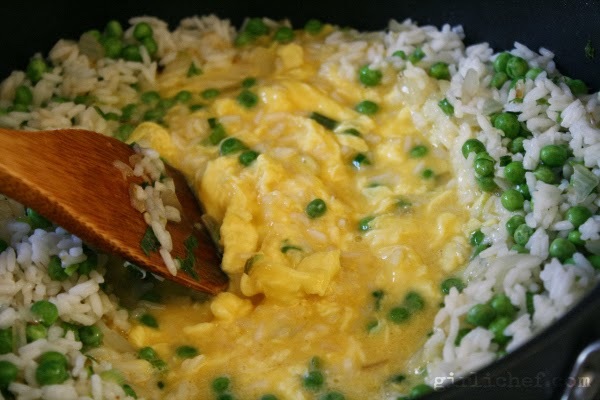 Stir them around and let them set to a soft scramble before combining gently with the rice. Stir everything together to combine and break up the eggs. Stir the sesame oil, soy sauce, salt, pepper, and reserved duck bacon through. Adjust seasoning as needed, but remember to taste before adding any more salt, as the bacon and the soy sauce both add salt. 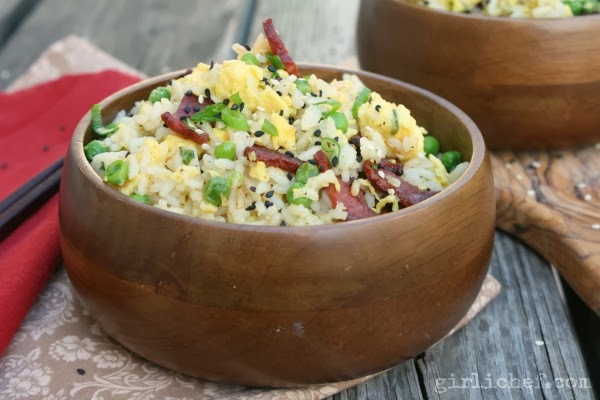 Serve garnished with a sprinkle of reserved green onions and sesame seeds. I received a few Maple Leaf Farms duck products at no charge to do with as I wish, I was under no obligation to write about them and I was not compensated for this post. All opinions are my own.